The Key Pieces: Please be mine? I'm not sure if it is my inner child, screaming for these shoes or my adult self thinks they are just too cute!! 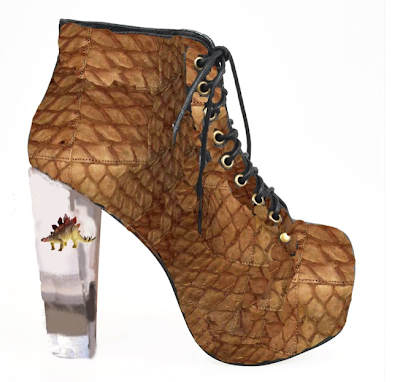 These Jeffrey Campbell shoes were created by Brandy Stone, and I am in love with the baby Stegosaurus in the lucite heel. Just imagine what the matching handbag would look like! cool idea with the heel ;) love the color! omg1 id die for these!